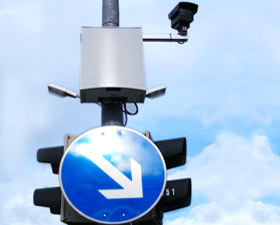 Restricted traffic zones can be monitored effectively with the aid of V-REX number plate recognition systems. By generating so-called ‘white lists’ acces can be granted to selected vehicles such as delivery vehicles or public transport within pedestrian areas. 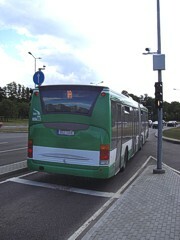 Separate bus lanes can be easily monitored as well with the help of CAT's ANPR technology. The V-REX ANPR system has been proven and tested for automatic identification of vehicles. Especially the great flexibility concerning hard- and software as well as a costumer-specific design has made a contribution to the success of this product. 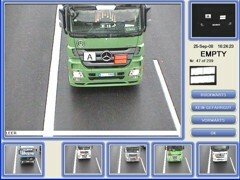 In order to detect HGV traffic transporting hazardous material, the so called Hazard/ADR Plates can be automatically captured by highly developed video systems. The detection of the plates is usually realized in moving traffic at highway speed (overhead installation on motorway gantries). In addition the system reliably identifies Neutral Plates (ADR plates without number code).